As far as the transmission of knowledge through training activities is concerned, the ICAC’s objective is to foster future university vocations and update the content of the courses taught to secondary school and pre-university students. 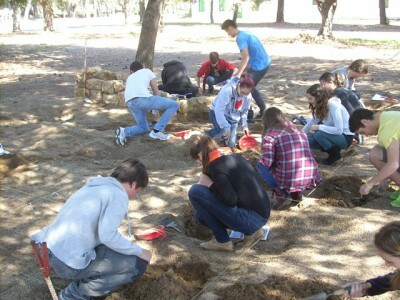 These activities provide the students and teachers with first-hand knowledge of the work of archaeologists and historians, both in terms of the content and the resources and techniques used in the ICAC’s facilities. This educational policy earned the ICAC the National Prize for the Dissemination of the Classical World 2011 awarded by the Spanish Society for Classical Studies. This is a pioneering project aimed at special education students carried out the 2015-2016 school year. It is coordinated by the ICAC, the Solc special education school and the Tarragona Camp d’Aprenentatge (Learning Camp), in conjunction with Fet a Tarragona magazine. This initiative received the 2016 Carles Miralles Prize for teaching experiences awarded by Auriga magazine, which publishes articles about the ancient world. More information. The ICAC cooperates with this award organised by the Catalan Association of Classical Language Teachers. 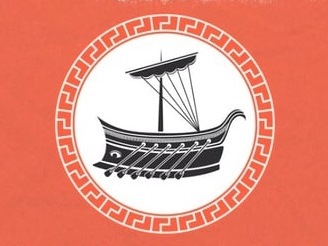 The competition aims to foster interest in the legacy of the Greek and Roman cultures among secondary school and pre-university students. The 2016 edition of the award is on war in Greece and Rome. More information. Science Week – Do research! Since it was founded, the ICAC has participated every year in Science Week, which is usually held in November. The ICAC explains its scientific and teaching activities to pre-university students who are deciding which degree courses to take. 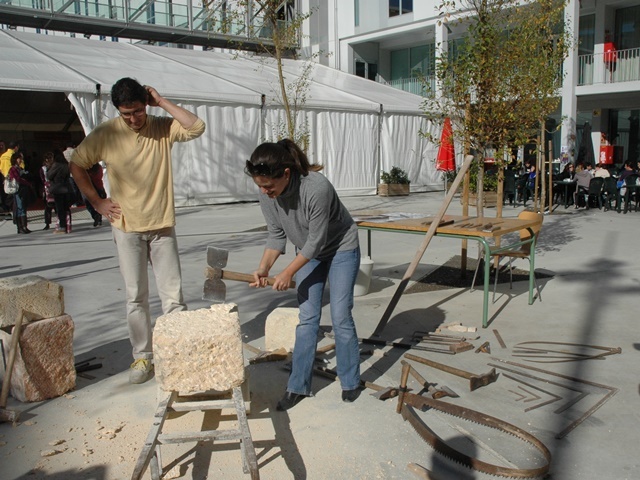 As part of Science Week, the ICAC organises various activities, either on its own or in conjunction with other institutions (the Tarragona Camp d’Aprenentatge (Learning Camp), the Tarragona National Museum of Archaeology, IPHES, etc.). Every July since 2004, the Guissona Archaeology Board, in conjunction with the UAB and the ICAC, has organised the Roman town of Iesso archaeology course. It usually lasts 15 days and is aimed at students and graduates and those interested in archaeology who wish to add to their knowledge of the archaeological investigation of a Roman town and the Romanisation process in inland Catalonia. The course deals with various aspects related to the science of archaeology that complement the university studies. 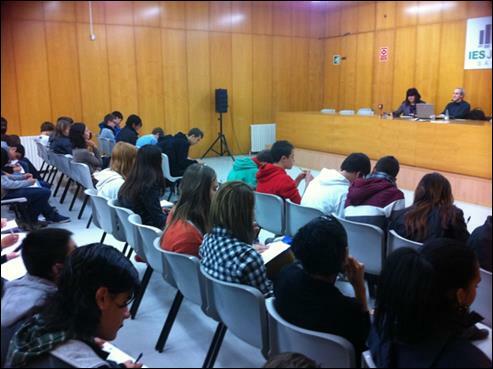 Since 2010, the ICAC has cooperated actively with the Catalan Association of Classical Language Teachers (APLEC) with the objective of preparing activities for the dissemination of knowledge of the classical world aimed at secondary school and pre-university students in Catalonia. Fruit of this cooperation, and coinciding with the Tarraco Viva festival, since 2011 the ICAC and the APLEC have organised annual Archaeological Walks through Tarragona with the objective of showing students the city’s monuments from a research point of view. As part of the Crazy about Science training programme promoted by the Catalonia-La Pedrera Foundation, in 2013 the ICAC, in conjunction with the IPHES and the ICRPC, set up the Crazy about Archaeology programme. 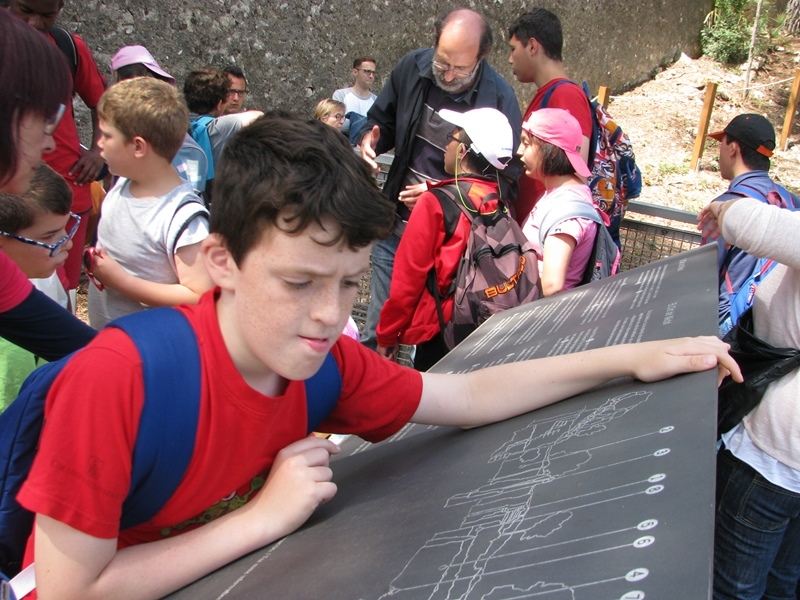 Its main purpose is to foster a scientific vocation for archaeology among young people. With this training, given during the 2013-2014 school year, the students increase and complement their knowledge of prehistory, human evolution, classical archaeology and the conservation and preservation of cultural heritage, through the introduction of 18 disciplines into their studies. Thanks to the creation in 2011 of this synthesis credit, organised by the Jaume I Secondary School in Salou, during one week of the year the students can learn more about the Roman culture and the Roman town of Salauris (present-day Salou). See this blog for more information. This archaeological site was museumised under a FEDER project by the town councils of Montmeló and Montornès del Vallès and the ICAC. It was opened to the public in 2012. 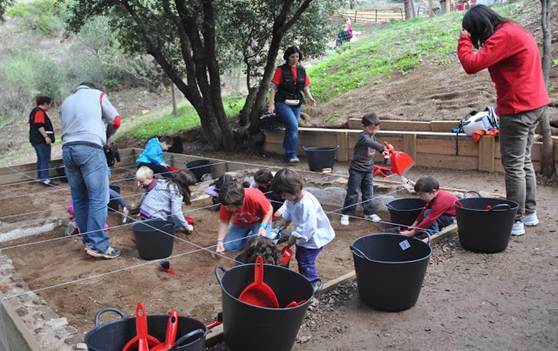 Various dissemination activities are carried out there, among them simulated archaeology for younger schoolchildren. 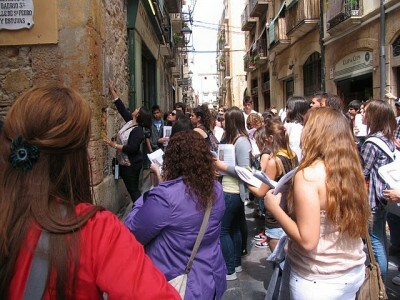 In conjunction with the Ministry of Culture, in July 2011, the ICAC participated in the course on the rehabilitation of Tarragona cathedral aimed at pre-university students. It was divided into a theoretical and a practical part in which the students were able to take part in the excavation of the interior of Tarragona cathedral.